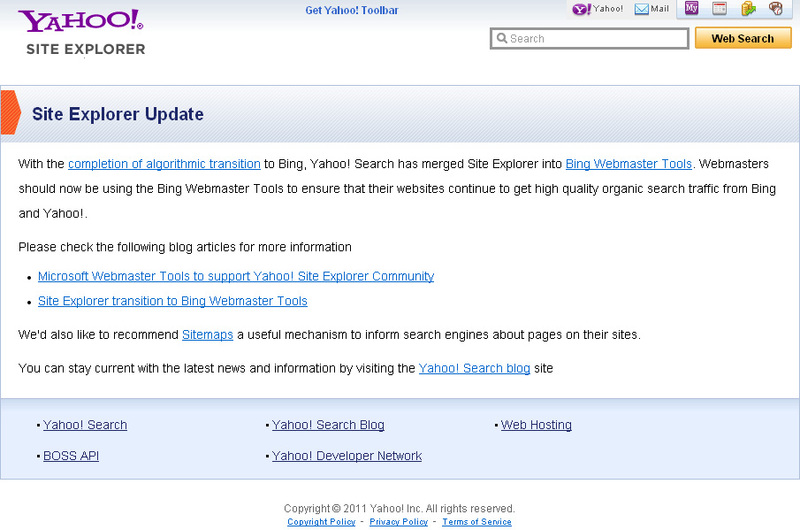 I wanted to check backlinks for a website on Yahoo Site Explorer and when I visited the website it was gone. I used Yahoo Site Explorer quite regularly for checking backlinks for a website which I don’t own. And to be honest there is no other SEO tool which lets you check the backlinks of an external site. I’m very disappointed with the Yahoo-Bing merger committee and their stupid move to shut down Yahoo Site Explorer completely. 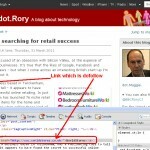 There are not many good alternatives for Yahoo Site Explorer. There are some tools, plugins and extensions for browsers which allow you to check backlinks up to some extent but they are not as good as Yahoo Site Explorer used to be. Infact most of the free backlink checker tools used Yahoo Site Explorer. Open Site Explorer is not a replacement for Yahoo Site Explorer, however this is the best tool you can get for free (limited). 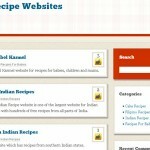 It shows up to 200 backlinks unlike YSE which showed 1000 backlinks. If you want to see more backlinks you will have to pay a fee.